Click the pictures for information, photos & how you can support them! 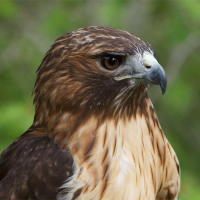 Pearl is a Red Tailed Hawk, hatched in 2003 and permanently disabled by a car near the village of Cedar. 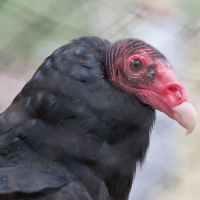 Doolin is a turkey vulture hatched in Louisville and illegally raised as a pet. As a “human-imprint” raptor, he would not survive in the wild. 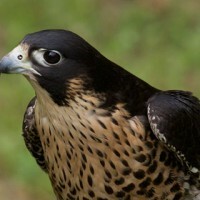 Rita Mae is a sweet peregrine falcon who was stolen illegally from her nest and joined our family in 2011. 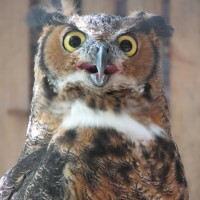 Eoin is our Great Horned Owl who was hatched in the spring of 2009 and orphaned at an early age. Florence is a Long-Eared Owl who was hatched in 2012 north of Cadillac and found by a logger after her nest tree had been cut down. 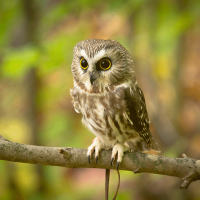 Pi is a 7-inch Saw Whet Owl, the smallest species of owl native to Michigan. She was both hatched and admittd in August 2016 – a very rough start to her first year. 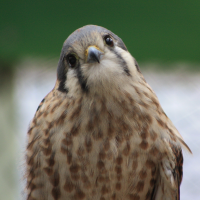 Jaeda is a female American Kestrel who hatched in 2007 in Ann Arbor. 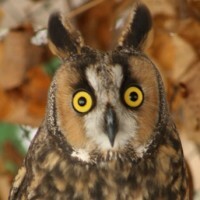 As a young nestling she fell from her cavity nest and hit the ground 60 feet below. 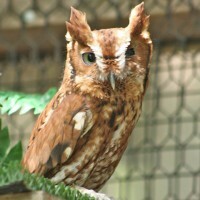 Arlo is a red Eastern Screech Owl who was hit by a car in 2004. The permanent blindness in one eye and damage to the hearing in one of his ears keeps him from enjoying a life in the wild. 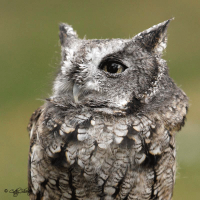 Gilda is a gray Eastern Screech Owl who was hit by a car in downtown Honor in 2004. The permanent damage to one of her eyes and to one of her ears keeps her from being able to survive in the wild. Zenon is a Snowy Owl who has an old dislocated shoulder injury. His injury did not heal properly and that permanent damage does not allow him to fly well enough to survive in the wild.